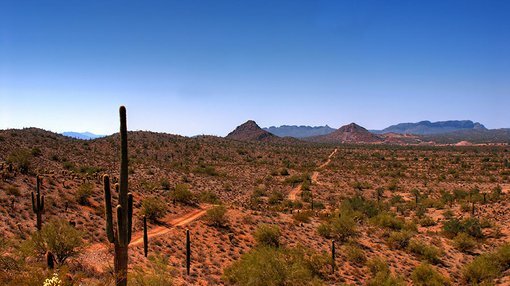 Eagle Mountain Mining (ASX:EM2) listed on the ASX Friday, offering investors an opportunity to invest in an advanced copper/gold exploration project in mining friendly Arizona, USA, led by an experienced and dedicated management team. The Silver Mountain copper/gold project is wholly owned by EM2 through its subsidiary Silver Mountain which was established in 2013 by Mr Charles Bass. Bass, a highly respected and successful mining entrepreneur with over 40 years of experience in the mining exploration industry, identified the project and spent a number of years and considerable expense putting it together. Now EM2, led by Bass, intends to carry on the work he started several years ago. The Silver Mountain Project sits on the northwest-southeast Laramide Arc, a geological feature containing world-class porphyry copper mines such as Bagdad, Miami and Resolution. It also lies on the southern extension of a northeast-southwest prospective metallogenic belt which hosts United Verde and Iron King. The intersection of the above two trends results in a favourable geologic setting with high complexity and potential for multiple mineralisation styles, which are already being mapped, sampled and tested with geophysics. Since Silver Mountain and Silver Mountain LLC assembled the land package in 2013 substantial exploration work has been completed. This includes a large airborne VTEM geophysical survey, ground magnetics, induced polarisation and resistivity surveys, geochemical and structural surveys, and extensive mapping and sampling. This work led to the discovery of new areas of potential mineralisation and assisted in further defining near-term drill targets. Pacific Horizon: Prospective for breccia-hosted copper, gold and silver, which is thought to be the target of the historic miners. It is expected that drilling will commence in the second half of 2018. Scarlett: Prospective for vein-hosted gold and porphyry copper mineralisation. Red Mule: Prospective for detachment-related gold and copper mineralisation. The listing delivers investors the first opportunity to invest in a public company exploring the highly prospective copper-gold region of Arizona since the Pacific Copper Mining Company listed in 1911 in Kansas City to develop the Pacific copper mine. This is the first time that modern exploration has been carried out on a largely underexplored region of Arizona as well as being the first time that all patented claims along the six kilometres of gossan outcrop in the Pacific Horizon prospect have been consolidated under a single entity.